If you are in the need help from a professional plastics expert witness, look no further than Professional Analysis and Consulting, Inc. Our plastics expert witness services can provide your issue or case with the essential knowledge and understanding of anything plastics related. 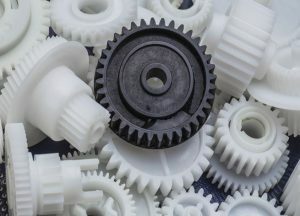 Our plastics expert witness services have been helping our clients for over 10 years with all of their plastics needs. Our team of dedicated plastics expert witnesses can address manufacturing or plastic product quality or safety issues. We can provide expert investigations into current issues necessitating a plastics expert witness or help plan for future prevention and safety. For more information regarding the services and benefits of a expert witness, please call Professional Analysis and consulting, Inc. today at 630-466-4040. You can also get in contact with one of our knowledgeable representatives by simply filling out the online request form on this page. A plastics expert witness is a crucial component to any investigation involving plastic applications. Our expert witness has industry knowledge and uses advanced techniques to determine the causes of plastics failures. Our expert witness utilizes our onsite laboratory to do any necessary examination testing n your plastic materials. Having a expert witness assist you in an investigation can be a huge benefit to your situation without breaking the bank. Our services are priced to be cost-friendly for the benefit of our clients. You won’t find a better or more affordable option for a plastics expert witness than at Professional Analysis and Consulting, Inc. If you would like to find out more regarding the services of a plastics expert witness, please call Professional Analysis and Consulting, Inc. today at 630-466-4040. You may also reach out to one of our knowledgeable representatives with any questions that you have by simply filling out the online request form on this page.